Elizabeth Gleave is a professional photographer who investigates environmental and anthropological issues in her work. Currently working for the Sunday Times as a photo-editor as well as previously doing photography work for various charities and magazines. Elizabeth Gleave is currently showing her series, Waste/Land at Open Eye Gallery via Open Source, a digital exhibition platform featuring artists who practice photography. In this exhibition Gleave looks at two countries, Lebanon and Scotland, with each country forming a chapter in the series. 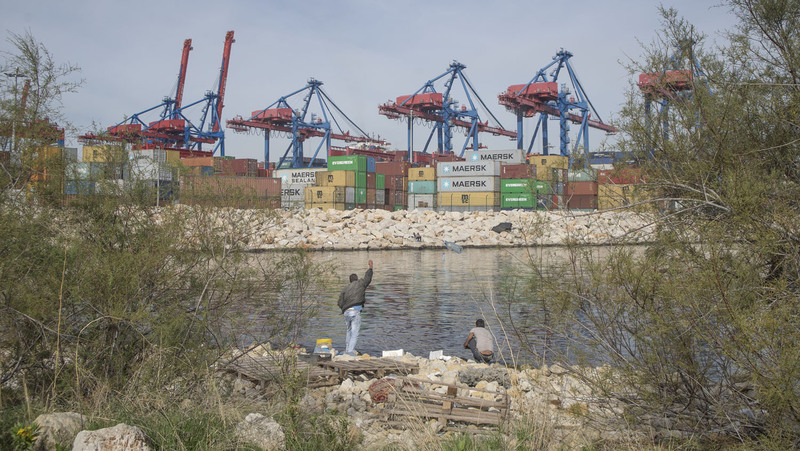 In the Lebanon Chapter Gleave focuses on waste pollution, flooding and water issues amongst the struggles the country faces in relation to conflict. The Scotland Chapter explores the input of plastic pollution in their landscapes and how this affects their ecosystem; all while current relationships with Europe are being discussed. Both of these countries have something in common in that they have water networks running through their borders, which have and are still being used for trade and culture. Elizabeth Gleave is using this idea to show how pollution, plastic and waste can affect water networks and how this impacts countries when they are contaminated – how humankind interacts with nature and investigating whether it is positive or negative. One of my personal favorites is the photograph from the Lebanon Chapter where there are two men either fishing or throwing waste into the river, whilst being surrounded by pollution. The image shows the surroundings in a pleasing way, there is an element of play in the actions, the characters continuing in their activities regardless of adding to any debris in the landscape. As Elizabeth Gleave mentions on her website, the bodies of water in Lebanon contain toxic levels of metals, chemicals and bacteria which would affect the lives of everyone living in Lebanon, including the men in this photograph, who continue to fish in the river which has high levels of toxicity. Now looking at Scotland, Elizabeth Gleave focuses on the water networks and the severe amount of plastic pollution, which causes detrimental harm to the environment. In what otherwise, would have been a beautiful photograph, detritus is strewn through the center of the landscape. 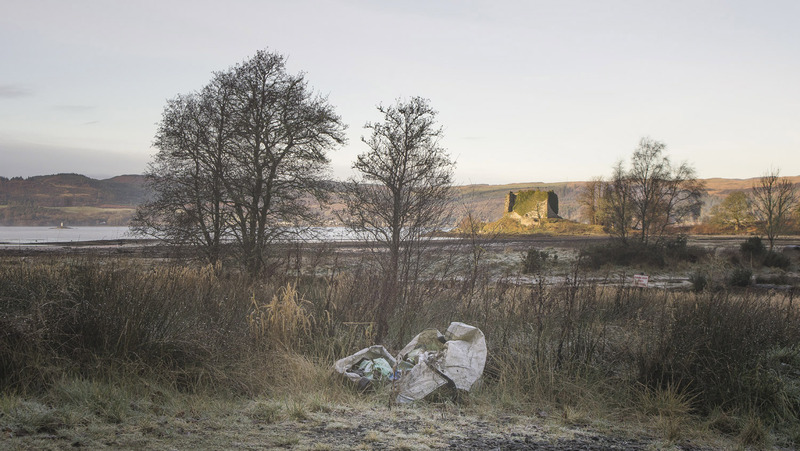 This photo is presenting the beautiful lands of Scotland, the lochs, castle ruins and nature alongside the plastic waste. This is a continuous theme throughout the Scotland Chapter; serene landscapes are shown interrupted by plastic pollution. In what Elizabeth Gleave describes as “the most remote, breathtaking wilderness of Scotland”, evidence of humanity is found – most likely washed up through the tides or blown there from the more populated areas. Plastic/waste pollution and water toxicity continue to be crucial problems, becoming synonymous with humankind’s influence on environments and our relationships with areas of beauty. Elizabeth Gleave’s slighted landscapes remind us of the responsibility we have to preserve the spaces and people outside of the idealist photograph.